As a leading domain brokerage, acquisition, and consulting firm, we can help you acquire just about any domain name you can think of, whether it's currently registered or not. Use our simple tool to look up a domain today. Once you do, simply make an offer and we will contact you right away. Knowing where to start can be troublesome, most domains of value are already owned by would be domain experts that have an inflated value of their asset. Companies and investors regularly use NameConnect brokers to approach domain owners with an educated offer as industry leaders, we act discreetly in the hopes of attaining you the best price for your new investment while assessing the true value of the asset you’re targeting. 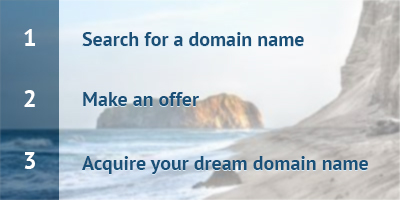 NameConnect.com also acts as consultants for their clients, we broker seven figures in domains each year and can assist with your portfolio as well.